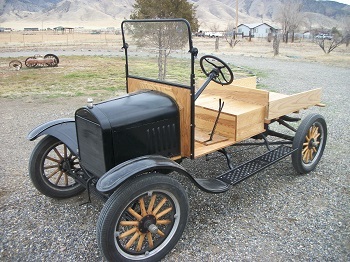 I need to replace the Glass in my 1927 Touring Car. 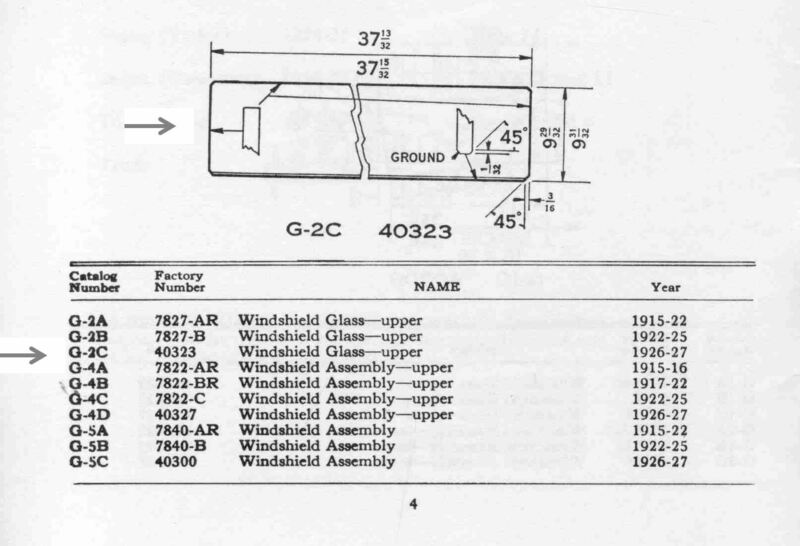 Are patterns available of Model T windshields? Shipping seems to be quite high, so would like to try local shop. 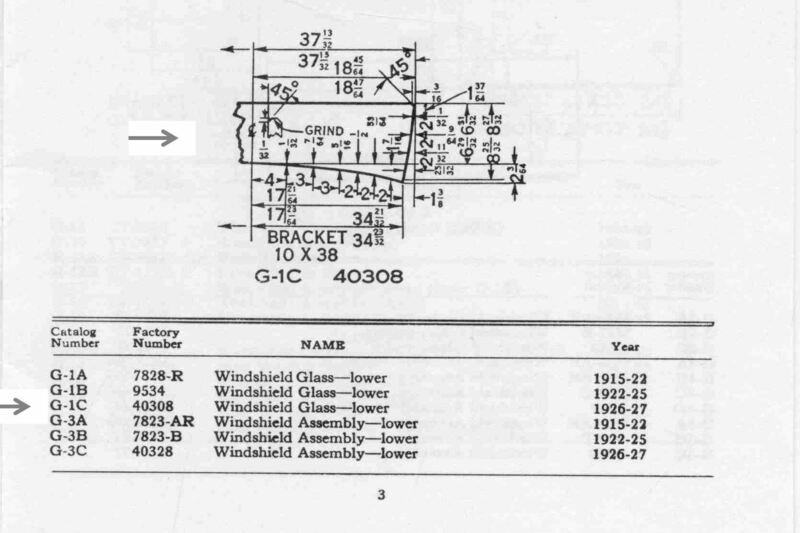 What is the normal way to just replace the glass? Thank you. Just take the frames to the glass shop and they will cut to fit and install. Anyway, that's what I did. Take the posts with the frames. Be sure everything fits correctly. Take to an Auto Glass Store and ask for safety glass. They will cut the glass and install it in the frame. Note, paint the frames before you install the glass. Oops, looks like John beat me to the punch. 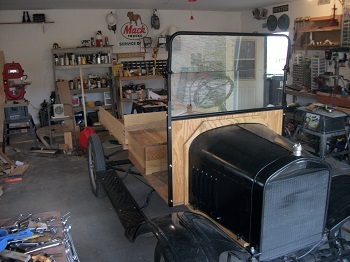 I took my original glass from my 26 touring and the cleaned and painted frames to the local auto /industrial glass shop. They used the original glass as a pattern, basically traced around it then cut it out and used a belt sander to smooth the edges. They had the glazier's tape there and installed the glass in the frames for me. I still have the original glass if it is needed for a pattern. let me know. 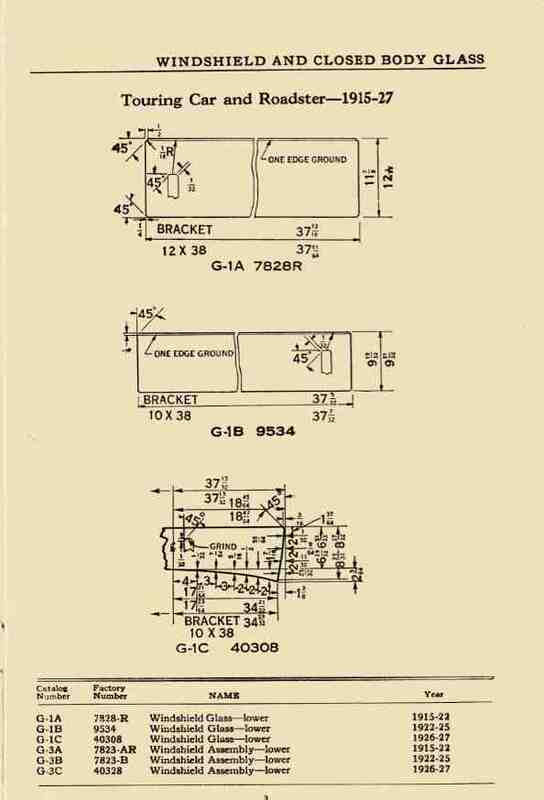 Where does the 8 25/32 to 8 27/32 dimension start and end. This if for G1C drawing 40308? Does it go from the top to the bottom of the windshield glass or to some other location? Arnie, I wish we could ask the original draftsman, but he's likely deceased. Although the drawing doesn't show it, my guess (it's only a guess!) is that the lower outside corner of the glass has the corner clipped off just like the 3/16 inch clip on the top corner. If true, then the dimension you referred to is measured from the top of the glass to the start of the lower corner chamfer. 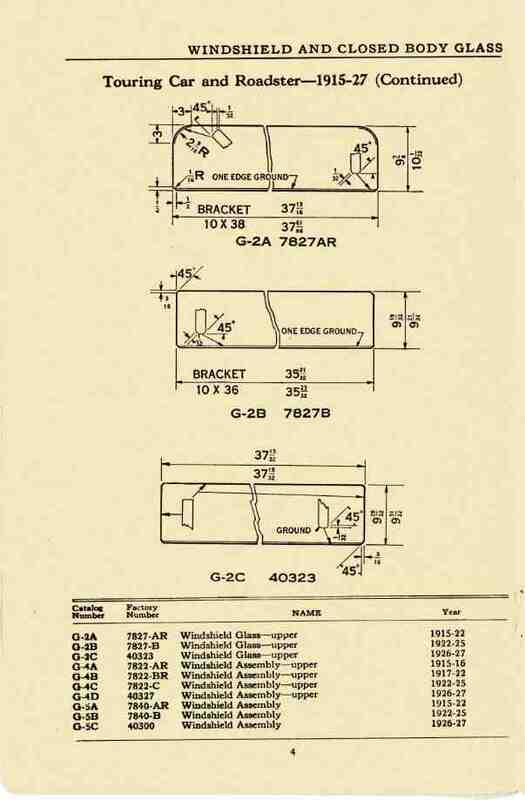 Could the person with the original glass please check their lower window to confirm or deny the presence of a clipped lower corner? Thanks!